How do you build a gaming computer for the first time? Where do you start as a hardware newbie? 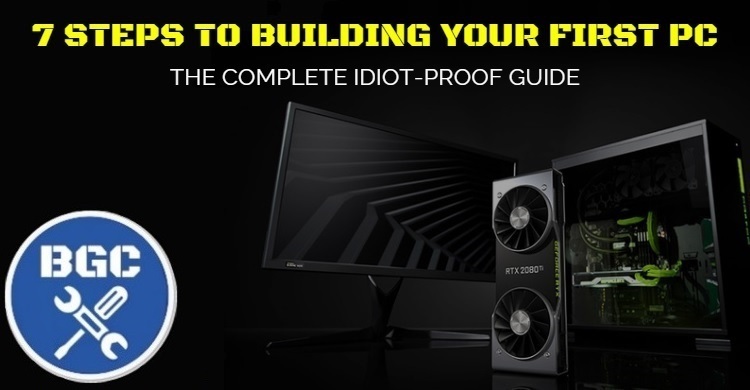 The following logically-ordered, carefully-crafted gaming PC build guide for beginners not only covers the absolute basics and the A to Z steps of planning and building your first gaming PC build from scratch, but it'll also answer all the common beginner questions that might pop up in your head along the way as we've gathered a lot of data about what first-timer builders get stuck on and need help with based on feedback we've received from readers of BGC over the many years we've been in operation. But no matter how many times you hear that building your own setup is dead easy, you may still be a little overwhelmed, confused, or doubtful that YOU can actually do it as a perhaps total noob to computers and hardware. Simply put, this is the all-in-one, 100% noob-friendly gaming PC build guide I wish I had back when I started out with DIY and building PCs, as it would have saved me a ton of time getting lost in the depths of the internet trying to piece together all the information I needed as a complete beginner to plan and build a PC for the first time. If you understand the benefits of building your own system but are a little confused or intimidated by the whole process of planning and building your own setup, you're in the right place at the right time. Simply follow each of the steps in this carefully-crafted, logically-ordered gaming PC build guide for beginners one at a time, at your own pace, and before you know it you'll be well on your way to your first finished custom PC build that'll give you a real sense of accomplishment everytime you boot up. You'll forever have the knowledge and confidence to plan and build gaming PCs for you and your gaming buddies for the rest of your gaming days. Or, at least until the robots take over. Without further ado let's get straight into the first step of this gaming PC build guide which covers PC hardware basics. After that we move onto everything you need to know about planning a great first PC build. If you get stuck at any stage, post/msg on our Fanpage or email us here. Enjoy, and good luck my friend. Your first gaming PC build will be a memorable little experience, and I can almost guarantee that once you build your own gaming setup you'll definitely want to build your next one as well. You'll realize how easy, fun and beneficial it really is after all. Never again will you have to turn to the PC gaming darkside of buying an overpriced pre-built PC. Ok, ok, pre-built gaming desktops can be okay - sometimes - especially if you don't mind overspending on your rig as they're typically going to be more expensive than building your own system (and they oftentimes have lesser-quality components and less upgrade flexibility), but overall nothing beats building your first gaming PC yourself as you're in full control. You'll feel a real sense of lasting pride and satisfaction everytime you boot up your new machine, and when it comes time to upgrade or build a brand new setup a few years down the track, your second build will be an absolute breeze as you'll know exactly what to expect and what to do. 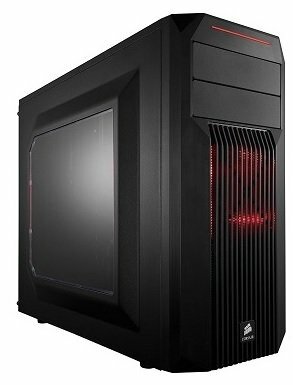 How much is it to build a gaming PC? Chances are you already have an idea of how much you want to spend on your setup, but if not let’s discuss roughly how much you’re going to need based on your gaming requirements. Like most things, when it comes to computer hardware the more you spend the better performance and quality you’re going to be getting (in general; there are some exceptions). So the more you spend on your first gaming PC build, the better your overall gaming experience will be now and into the future, and the longer your desktop will last you without needing to upgrade. However, there is such a thing as overspending on your PC build, especially if your requirements aren’t all that high. For example, if you’re only playing older games, or on lower resolutions like 720p, or the games you're playing aren't that demanding, then you can get away with spending a lot less than gamers with higher demands. With a spending of amount of 500 dollars and under you'll be quite restricted, but the truth is with smart component choices you can still absolutely still build a first gaming PC that will play modern titles in the standard 1080p resolution, even with smooth performance (depending on the game and how much you turn down the settings). A build in this price point may be all you need though if you’re just mainly sticking to older, less demanding games, or you don’t mind turning down the graphic settings considerable and/or you don’t mind the occasional slow-down/lag here or there in the more demanding titles. Many popular eSports titles have much lower demands and can perform really well on a real cheap setup. Obviously you can’t expect much in terms of peripherals and accessories in this tier either, but some gamers honestly don’t mind using a basic, generic mouse, keyboard and monitor that simply gets the job done. 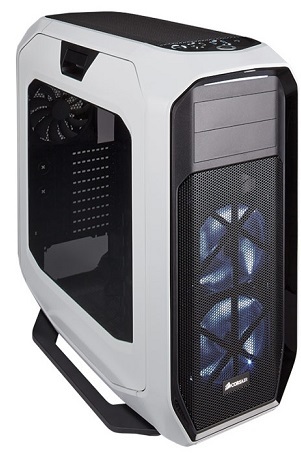 This is the sweet spot to building quite a capable gaming PC for excellent performance in the standard 1080p (full HD) resolution, with decent room to move in terms of complimenting your build with a decent set of peripherals. The power you can expect from a build in this price range is enough to please most gamers, and you would only really need to spend more if you have specific higher demands than the average gamer in terms of resolution, FPS (frames per second), and other application demands such as building a VR, video editing or other workstation-level PC. 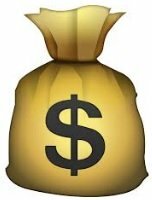 Of, if you wish to get the highest quality peripherals possible as they can quickly add up in cost (top of the line monitors such as 120/144Hz screens can easily chew a big hole in your budget) and so you might need to drop more than $1000 if you absolute need the best accessories you can get your hands on. If you’re building your first PC and don’t really know where to start because you’re confused about what you’re going to need, this price point is a safe bet for a nice balancing of price and performance, assuming you stick to 1080p, and should make you happy. Now we start getting into very high performance for the gamers who demand more for things like playing in higher resolutions and/or higher refresh rates such as 1440p or 120/144Hz, for absolutely flawless performance in 1080p in demanding modern games with the in-game settings cranked up to the max for the best visual quality, and/or for a very fast VR or workstation setup. Spending a nice chunk of change like this on your PC will also future-proof your parts more, so you won’t really need to upgrade for a long time (read: 3-6 years depending on your games, demands, preferences, etc) to continue playing the latest games well. With a nicely flexible spending budget like this you also have the option to get the exact peripherals and accessories that you want without sacrificing on quality too much if at all, whereas in the sub $1000 price tier you may have to settle for average (ie not the best) peripherals. 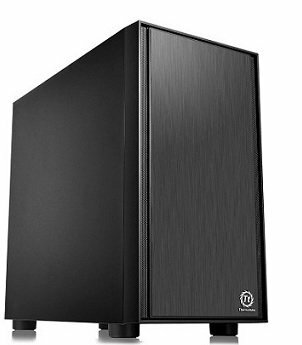 Building a gaming PC in this sort of price range is for the best gaming experience possible without compromises, as well as endless options for adding any type of bells and whistles and fancy features for your setup. I wouldn’t recommend the average gamer to spend this much on their setup unless they really know that they need this sort of performance and power, as it’s overkill for most. However, this price tier is a must for anyone with extra high demands who doesn’t want to be let down in any way shape or form, such as those wanting great performance in the massively high-res 4K resolution, running demanding games on multiple monitors flawlessly, or if you’re building for VR and don’t want anything slowing down your experience there for now and over the next few years (VR can be real demanding and is similar to 4K in its requirements). Now comes perhaps the most fun part of this gaming PC build guide for beginners - designing, planning and tweaking the ultimate list of components for your needs. If you're building your first gaming PC, a great place to start with planning a good set of compatible components for a particular budget is our flagship site feature: the constantly-updated, meticulously-optimized Best Gaming PC Builds for the Money series. We list suggested builds for any type of budget that you can use either exactly as they are or as a base for your more customized build. Video Card (25-40%): To build the best gaming PC, you'll want to invest a minimum of 25% of your total build budget on the graphics card, as nothing is more important to gaming performance. So, for a gaming PC build around 1000 dollars, you're looking at a graphics card around $250 to $400 ish. Going higher than $400 or so will mean having to make too many sacrifices on your other parts, and less than 25% means you're not allocating enough of your budget to the all-important graphics card. CPU (15-25%): The second most important component in a gaming rig is the processor, so look to also spend a healthy portion of your budget on the fastest one you can get. Using a $1000 system as an example again, throwing $150 to $250 on the CPU is about the right balance. Remember this is just a general guideline, and also this is for gamers wanting the fastest gaming performance; if you're building a workstation PC or hybrid gaming/workstation PC, consider throwing a bit more at a better CPU. One of the most important considerations when building your first gaming PC is what sort of performance (or specifically, what frame rate) your chosen parts will get in the games you want to play. Before buying anything you want to have a fairly good idea of what to expect from your parts-list so that you don't end up with performance you're not happy with. Predicting the FPS of your PC build is a matter of investigating benchmarks online for the hardware you're considering getting - in our example PC builds we aggregate benchmarks from around the web for top games if you don't have the time to do the research yourself. If you don't mind not having the latest and greatest graphics card or CPU, you can save a bit of cash by opting for a slightly older model instead of the current new release whilst not sacrificing on performance too much. Older parts are typically priced more competitively compared to newer models in terms of overall bang for the buck (though not necessarily all the time). A good example right now in late 2018 is NVidia's graphics cards, where the previous generation (GTX 10 series) are actually the better buy right now in terms of pure performance per dollar, with the latest releases (RTX 20 series) indeed providing the fastest performance but at a cost. You can also say the same about the latest Intel CPUs, with the brand new i7-9700K arguably being less bang for the buck compared to the previous i7-8700K. Not everyone building their first PC is going to want to get an older model component, but if you're strapped for cash it's definitely worth considering, especially when it comes to graphics cards as they're the most expensive component in a gaming rig (at least they should be if you know what's good for you!). If you're using one of our suggested gaming desktop builds exactly as-is, you don't have to worry about checking compatibility as we've done all of that for you. But if you're tweaking a more customized list of parts for a more specific budget and/or features, don't forget to always check that all the components you're choosing are compatible with each other. 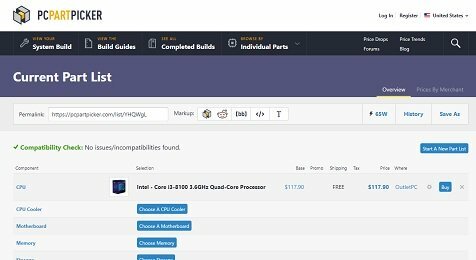 A site called PCPartPicker is handy for that as you enter in your parts-list and it'll check compatibility for you automatically. Whilst you need to know which exact part to search for when planning a build on there, it can be handy to use their tool to allow you to read customer reviews, save a planned build to your account for later, and tap into their price engine for various sources. It also does basic compatibility checks as you continue to add parts to your running database, which generally speaking is quite accurate for all the basics and their system takes into account various factors when checking for compatibility. However, it’s always best to do your own checks as well to be sure as they don’t cover every single potential compatibility issue out there (especially if your build is more complex than the average gamer) and you never know when a database is going to let you down. Plus, there are other things to check for that a database can’t do for you, such as considering the expansion and upgrade options of your chosen parts-list, the cooling effectiveness, noise, overclocking potential, water cooling parts, and matching looks, among other things. Another potential downside to using their site is that it may not include all the products out there, especially brand new ones, although don’t quote me on that one if I’m being honest as when planning my own builds I have my own process and prefer to plan things on my own so I’m not overly familiar with their system. You want to think ahead and consider roughly how long this PC is going to last you without needing to upgrade so that you don't need to upgrade sooner than you'd like. Getting the cheapest possible setup that will play your favorite games decently-enough at this moment in time may save you the most money up-front, but is it worth it if you need to upgrade again next year to play the latest new releases smoothly enough? A cheap rig may actually be all you need for a few years IF you know that you're likely only going to be sticking to certain games that you know your system can run well, but if you enjoy playing new releases all the time then you'll want to consider getting a slightly better PC than you actually need for the games of today, so that you don't have to worry about playing the games of tomorrow (as in, new releases over the next 3-5 years). 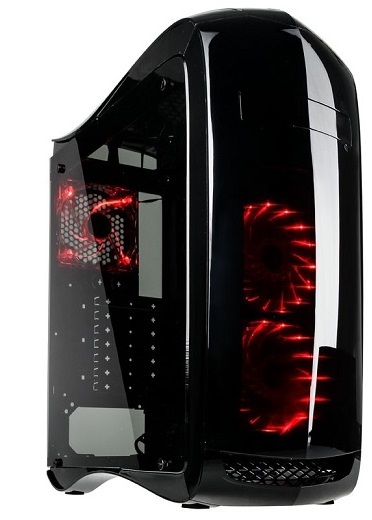 Of course, if your budget is restricted then getting the cheapest possible PC you can get is your only option (and in that case you'll want to plan ahead for easy upgrades instead of needing to buy a brand new system in a couple years), but if you're deciding between say, a $500 or a $800 machine, spending more now is going to add a fair bit of lifespan to your system. 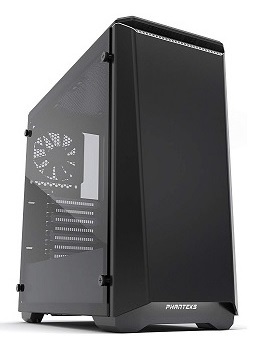 It should go without saying when building your first gaming PC, as having an upgrade-flexible system is one of the drawcards of taking the DIY route and building your own system, but always consider the upgrade path for your custom build. The longer you'll want to have this new PC, the more important this is. First and foremost, with RAM being one of the most common upgrades you can make to a custom PC as it's quite inexpensive yet brings a nice little boost in overall performance, as a rule of thumb you want to always keep a couple of RAM slots free on your motherboard. That means choosing a motherboard that has 4 slots if you're getting 2 RAM modules now. If you're getting a board with 2 slots, you'll want to consider just getting the 1 RAM module to keep one module free for the future. If you plan on swapping the graphics card for a better one in a few years time, there shouldn't be any problem with doing that, but make sure you have plenty of wiggle room with your power supply (in terms of wattage) to accommodate a more powerful card. Same thing goes with upgrading to a dual graphics card setup should you want to do that later on, and in that case you'll need even more wiggle room power-wise. Upgrading a CPU later on is possible, but if you're going for Intel you're likely not going to be able to upgrade to the latest processor in a few years as you'd also need to change the motherboard too. This is where AMD has a nice advantage, as their current AM4 platform is compatible with future CPUs by doing a BIOS update, meaning if you buy an AMD CPU and motherboard today, in a few years time you can likely upgrade the CPU to the newest edition whilst keeping your same motherboard. With Intel, you'd have to either upgrade to a faster yet older CPU (as in, the same generation that you're buying now), otherwise you'd need to get a new motherboard if getting the latest CPU. Although to be fair, there's no telling how long AMD's AM4 platform will last. In other words, we don't know how much more future-proof is it compared to an Intel CPU/motherboard setup. But overall, upgrading a CPU isn't all that common for a gaming PC compared to graphics card upgrades, so try and buy a solid processor now so you don't have to upgrade later (especially for Intel). Last but not least, if you're planning on upgrading your storage setup, be sure the motherboard you pick has the connections for it. Many modern motherboards will only have support for 1 m.2 SSD, and up to 6 HDDs or so, and not all support RAID. So if you have higher than average storage needs with many drives, it's something to check. In 2018 it's a no-brainer that if you want to get the best price on most consumer products, buying online is the way to go. With PC hardware it's no different, and huge retailers like Amazon have a vast range and hard-to-beat prices. Shipping is also super-fast and reliable, so it's hard to go wrong buying online. If you want to buy offline, head down to your local Microcenter or other computer store to see what you can find, but more often than not you're going to find the best deals on the good old interwebz. Online retailers have less overhead and costs than brick and mortar stores and so they can afford to offer much more competitive prices. These days buying online is very safe, secure and fast. Your parts will conveniently be delivered straight to your door. You also get a warranty just like when buying at a store, so you're not missing out on anything. In terms of the best online stores to shop for PC parts, in 2018 arguably one of the best overall for the lowest prices, selection, and overall customer service is Amazon. They also have great stock internationally in many other countries than just the US. Noteworthy second picks (in the US at least) would be Best Buy, Newegg, SuperBiiz and BHPhotoVideo. When researching a particular product, reading both professional and customer reviews can come in real handy to learn more about the product and someones experiences with it if you want to dive deeper into whether a particular model is worth the money or not. Whilst still helpful, be wary when researching customer reviews and ratings (ie amateur reviews) as they can be misleading in some cases because people who have a bad experience often feel inclined to leave negative reviews, whereas those who are on their merry way with a successful component, happy as Larry Page, tend to not leave their thoughts in a positive review. That sometimes skews the perception of certain products, where you might see many 1-2 star reviews from those who have received faulty or broken parts, and you start to think the product is a piece of junk when the reality could be it’s just fine and those unlucky customers who got a dud/lemon are the exception and not the norm. Don’t get me wrong though, certain products are definitely more prone to fault and DOA (dead on arrival) issues, so if you see a lot of bad ratings it potentially is a bad buy, but don’t take things at face value too quickly in this industry. If you want to research reviews, lean more towards trusted, credible sources such as top hardware sites like TechSpot, TomsHardware, AnandTech just to name a few. However, customer reviews from sites like Amazon, Newegg, and PCPartPicker definitely can still be quite helpful so long as you put your thinking cap on whilst reading, don’t get too caught up in any one person’s opinion (it’s tough to know who actually knows what they’re talking about and who is just sprouting random nonsense), and base your decision off multiple sources if you can. Should You Buy All Parts at the Same Time? You can slowly piece together your build part by part over time, but there are a couple of benefits to purchasing all of your components at the same time which you may want to take into account. The most important reason being that some parts will have a limited time frame in which you can return them for a replacement in the odd case that they are defective. So if you buy one component at a time, you can't test them before you have all of your parts together. So if you have a defective part and you end up testing it after the expired time frame for returning it, then you're stuck with a defective part and there's not much you can do. Sure, you can argue that it is quite rare that you will get a defective part which is true, but in my opinion it's not worth the risk as it does still happen these days so you are better off avoiding this potential problem altogether by buying your parts in one go. Another reason to buy all your parts together is that as times goes on new parts come out and prices drop on older parts. It's possible that if you wait a fair while between buying parts you may find that some new parts aren't compatible with older parts. Again, this is uncommon but it's definitely a possibility especially if you wait a long time between your component purchases. Once all your parts have arrived at your door, the moment of truth has finally arrived! When you're ready to assemble your parts together and you have a good few hours set aside, the following step by step tutorials are what we'd suggest following as a first-time beginner. Prefer a Written PC Building Tutorial? See our complete gaming PC build guide to installation which covers how to build your first PC in detail, including all sub-topics you'd need to know about as a beginner including preparing to build a PC, safety precautions, what tools you need (and which optional ones to consider), troubleshooting boot-up errors, software installs, and more. Prefer a Video PC Building Tutorial? 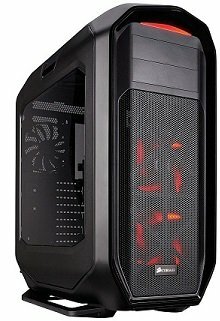 How Long Will Building My First PC Take? Is Building Your First PC Really That Easy Like Everyone Says? If you're a little intimidated by assembling your parts together, that's understandable. 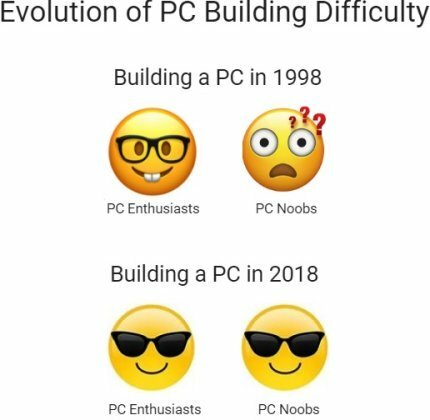 No matter how many times you hear that building a PC is like Lego, or that it's so simple that your Grandma could do it with ease, you may still have your concerns about whether or not you can or should go ahead and build one as a total noob. Because we do run a site about building computers, you might just think we're being biased when we say this, but the truth is, objectively speaking, it actually is genuinely very easy to do for practically anyone no matter what their tech/computer background is (or more accurately, what it isn't). It literally is just a matter of setting aside a couple hours and following basic instructions like in our own in-house PC build walkthrough and plugging things in, connecting things, screwing things in with a screwdriver, and that's about all for most builds. It's very hard to go wrong, even if you've never seen the inside of a computer before and know nothing about hardware. Safety is simple as well, as you only need to either wear an anti-static wrist band during the install, or ground yourself before handling a component by simply touching any metal object or surface (which diffuses any static electricity that your body might have had on it). If you have issues when booting up your first gaming PC build, see our troubleshooting PC builds guide as well which takes you through common problems and how to fix 'em. And once you do you'll feel a great sense of pride and accomplishment, and it really is way more fun than just buying a random computer. On top of that, once you get through your first build, your next one will be infinitely easier and you'll be able to build and upgrade your PCs for the rest of your gaming life, saving you a nice chunk of money over the long haul, and never being stuck with an average-quality, unoptimized (for gaming performance), and upgrade-limited pre-built system ever again. 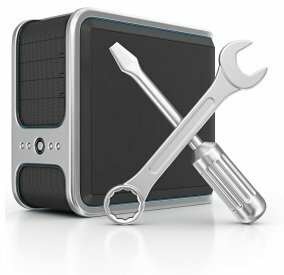 Once you've installed your parts together and your first PC has booted up successfully, you'll want to install your operating system software, connect to the internet, update Windows to the latest version (this may take a while so perhaps leave it overnight), and download the latest drivers for your components (drivers are explained in the OS installation guide). You'll also want to download some good programs although don't go ahead and clutter your system too much if you can avoid it. See our recommended programs to install on a fresh new PC build in 2018. If you want to optimize your system to run at its fastest for as long as possible, also check out our guide to speeding up your gaming PC. If you want to get more advanced and you have the time and patience (as well as a motherboard/CPU and/or graphics card that supports overclocking) then you also might want to consider overclocking your PC to squeeze out extra performance without spending more. And with that it's time to wrap our this gaming PC build guide for first-timers - we hope it's helped you more clearly navigate the wonderful world of DIY PCs and to more easily build a killer first gaming PC. Now it's time for you to finally load up your favorite game and do what you do best.